← Eric Pickles outlines help for self-builders. Are snagging inspectors worth it? This is a question often asked by new home buyers, especially as it comes at a time when they have other non-optional costs such as stamp duty, legal fees and mortgage fees to budget for. New homes are required to be built to the relevant building regulations and warranty standards. Whether any new home meets these standards will depend on the level of inspection and supervision throughout the build process. However, compliance should not be taken for granted. 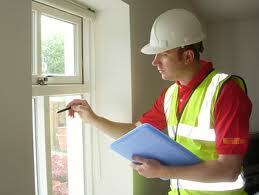 Many people buying a new home do not even think about hiring a professional snagging inspector. They expect, quite rightly, that their new home will be built with care and that all those statements and promises regarding quality from the house builder will be reflected in the finish of their new home. According to the HBF Customer Satisfaction Survey, 91% of new homebuyers reported problems with their new home after they moved in. A quarter (27%) of new homebuyers experienced more problems than they had expected. This is hardly surprising as there are many examples of new home buyers who have spent many months trying to get their house builder, often a large national plc company, to return and properly attend to various defects and fix leaks. Unfortunately house builder’s attitudes towards new home buyers quickly change once the keys are handed over and especially after six weeks, when the HBF satisfaction questionnaire is likely to have been completed by the buyer. This is why it is vitally important to have as many defects as possible reported and corrected before moving in to a new home. The best and most effective way to achieve this is to appoint an independent professional snagging inspector. Buying a new home built by an NHBC Quality Award-winning site manager is not necessarily any guarantee of quality as one buyer on Taylor Wimpey’s “Chariots” development at Augusta Park in Andover Hampshire, found out. His snagging inspector identified over 343 defective items after he was eventually allowed access once the buyer had had legally completed. To make matters worse, a separate independent NICEIC electrical inspection highlighted this home also had 27 electrical faults and defects. Of these, 16 were Code 3 “improvement recommended”, two items required further investigation and of more serious concern, a further nine defects being classed as Code 2 “potentially dangerous – urgent remedial action required.” The fact that the property was sold on the basis of the NHBC quality and the Pride in the Job Award process, simply adds insult to injury and raises serious questions about both the rigour of judging and even the commercial independence of the NHBC. Neighbouring homes have also had a steady stream of various trades visiting to attend to defective workmanship. So what can new homebuyers do? Get your new home professionally inspected and snagged and insist it is carried out before you legally complete on the property, not afterwards as in the case above. Some house builders or site managers will claim that it is not “company policy” to permit access for snagging inspectors before legal completion. In this case, tell the builder that you are instructing your solicitor to delay legal completion, until you have advised him you are fully satisfied with the quality and completeness of your new home and that you are unable to do this until it has been professionally inspected. Write to the house builder to confirm that legal completion will not take place until an independent snagging inspection has been carried out and all items in the report have been rectified. Snagging inspector’s charges vary slightly, but expect to pay between £350 and £500 depending on the size of your new home. Unfortunately not all snagging inspectors are the same, so you also need to take care and do some research before appointing one. Here is some good advice when choosing a snagging inspector. This entry was posted in New Homes, Snagging and Quality, Taylor Wimpey. Bookmark the permalink.